The Ce5 plus clearomizer is the perfect little "upgrade" top. While keeping the familiar style of the ce4 clearomizer, the Ce5 plus comes with a major advantage. It allows you to change its coil in the center with just a simple turn of the wrist, making it an easy and more cost effective transition. So take advantage of this great product while sales last, and allow the Ce5 plus to comfortable guide you to something bigger and better! 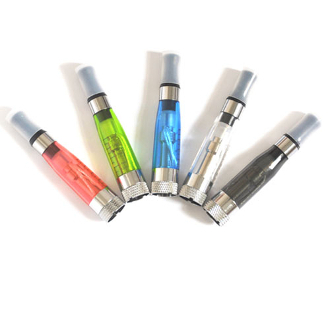 The Ce5+ Clearomizer protank system are easy to refill they are manufactured from thick durable tank style plastic and has no burning smell or leaks.